Thank you all who joined us, listened and chatted it up in our new Ustream chatroom! 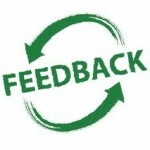 We appreciate all of you! Trying to find who posted Mark Davis Mr. Post picture (Mark just wants to send them a poster). This entry was posted in Once Upon A Time Fan Podcast Full RSS, Once Upon a Time Podcast and tagged adam horowitz, bioware, comic con, dylan schmid, edward kitsis, emile de ravin, Giancarlo Esposito, Ginnifer Goodwin, Jamie Chung, Jennifer Morrison, Josh Dallas, Kristin Bauer van Straten, Lana Parrilla, Lee Arenberg, Mark Davis, Meghan Ory, once upon a time, Raphael Sbarge, revolution, Sarah Bolger, true blood on July 8, 2012 by Admin of Storybrooke ;). Looking back to episode ‘Dreamy’ we learned how the seven Dwarfs got their names. 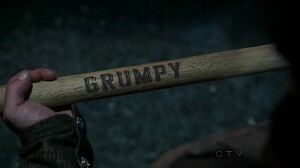 However,’Dreamy’ was Grumpy’s real name before,well he became Grumpy. They received their axe, and it picked their names for them. Seen in pictures below. and we can not forget the 8th, Stealthy. When Snow White broke the spell ( in episode Heart of Darkness) after kissing Charming and remembering who he was after forgetting everything by drinking the potion Rumplestiltskin gave her. Charming was captured by his father’s men and brought back to the castle. Team 7, stood by Snow and helped her get Charming back. Team 7, is what they are referred too. The band of brothers that are,loving,loyal and they always have Snow’s back. Family, doesn’t always have to be blood related. This entry was posted in Once Upon a Time Blog and tagged abc, abc tv, bashful, David Paul Grove, disney, doc, dopey, evil curse, Faustino Di Bauda, Gabe Kouth, Ginnifer Goodwin, grumpy, happy, Jeffery Kaiser, Jennifer Morrison, jiminy crickett, Lee Arenberg, Mary Margaret Blanchard, Michael Coleman, mig micario, once upon a time, once upon a time tv show, Prince Charming, regina mills, rumpelstiltskin, sleepy, Sneezy, snow white on May 10, 2012 by deputies. Rumpelstiltskin has a vast collection of potions – and they are labeled with pictures/symbols. 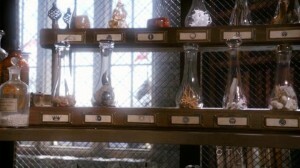 We know that the heart symbol refers to the potion for true love. What could be the potions for the other symbols? 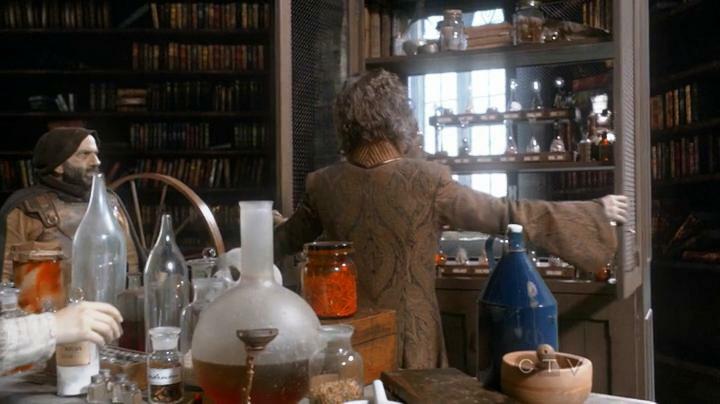 This entry was posted in Once Upon a Time Blog and tagged abc, Ginnifer Goodwin, grumpy, Lee Arenberg, once upon a time, potion, Robert Carlyle, Rumplestiltskin, snow white, sunday night, true love on March 21, 2012 by deputies. Welcome to the a Special Episode (007) of the Once Upon a Time Fan Podcast First Thoughts about “Dreamy”. 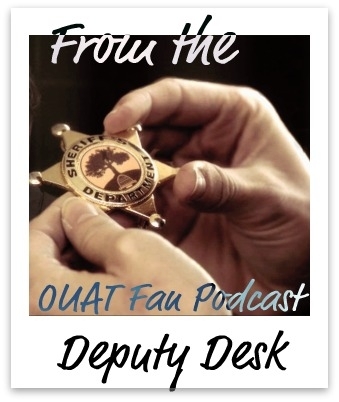 This is a podcast dedicated to the hit ABC TV show, Once Upon a Time. 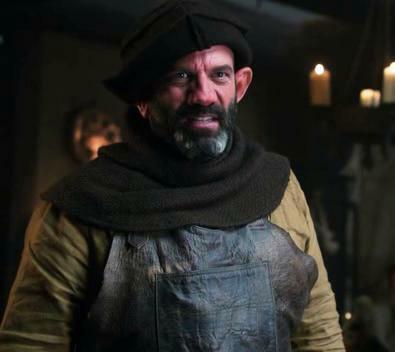 This entry was posted in First Thoughts episodes only, Once Upon A Time Fan Podcast Full RSS, Once Upon a Time Podcast, Season 1 and 2 OUAT Fan Podcast and tagged astrid, dreamy, grumpy, Lee Arenberg, nova, once upon a time on March 4, 2012 by Admin of Storybrooke ;). Someone’s Grumpy! Plus Six Big Questions Answered! This Sunday (March 4), we will finally get a glimpse of the seven dwarfs also known as #TeamSeven or #SuperSeven. 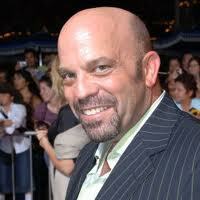 Lee Arenberg, who plays Grumpy will be the center of this episode as we find out how he got his Grumpy nature. In the article below, we get a dose of what this episode is about, plus SIX big questions that producers Adam Horowitz and Eddy Kitsis attempts to answer without spoiling anything. Plus a possible return for Graham??? ABC’s Once Upon a Time this Sunday will weave a magical tale about love that might leave you… grumpy? This entry was posted in Once Upon a Time Blog and tagged abc, adam horowitz, Eddy Kitsis, grumpy, Lee Arenberg, once upon a time, Sunday, sunday nights on February 28, 2012 by deputies.